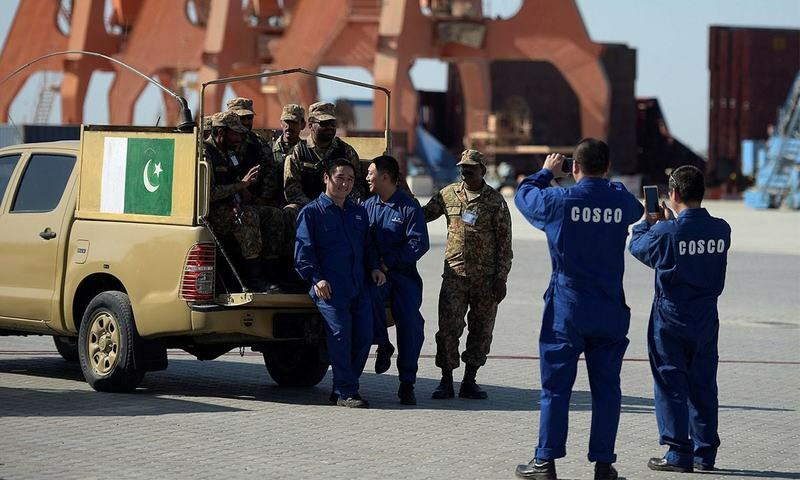 Pakistan has deployed a 15,000-strong military force to protect Chinese nationals working on energy and infrastructure projects in the country, President Mamnoon Hussain said on Sunday, after the abduction of a Chinese couple raised safety concerns. The president told visiting Chinese Foreign Minister Wang Yi in Islamabad that the protection of Chinese citizens working in Pakistan was the “top priority” of the government, read a statement issued by the presidency. Beijing is investing around $50 billion in its South Asian neighbour as part of a plan unveiled in 2015 to link its far-western Xinjiang region to Gwadar port in Balochistan with a series of infrastructure, power and transport upgrades. But fears over safety arose last month when two Chinese workers were abducted in Quetta, Balochistan, which is at the heart of the China Pakistan Economic Corridor (CPEC) project but racked by separatist and religious insurgencies. 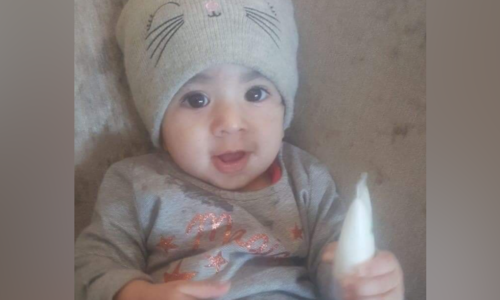 Authorities were going to all possible efforts to arrest those responsible for kidnapping, Hussain said. China has stated it will cooperate with Pakistani authorities to investigate whether the two Chinese citizens — who were allegedly killed by the Islamic State group in the country — had been illegally preaching. So far there has been no official confirmation of the Chinese pair's fate. Later in the day, Chinese Foreign Minister Wang Yi and his delegation also called on Army Chief General Qamar Javed Bajwa and discussed matters of mutual interest and regional security with special reference to Afghan situation and CPEC came under discussion. Common men don't have enough force. @Ommen , got jobs? Brother, the indirect cost of the project increases by the cost of 15,000 soldiers. While the cost is borne by Pakistan, the benefit of Chinese investment goes to the Chinese. Cannot our Hukumran deduct the security charges from total investment provided by the Chinese and allow them agreed rate of return (ROI) on NET Investment? @Kar : These Chinese are for changing the life and fortunes of the poor local people.Therefore, they must be given maximum security to establish the real gamechanger. @M.Saeed "These Chinese are for changing the life and fortunes of the poor local people"
Funny, the 'life and fortunes of the local poor people" don't seem to have been changed at all by the Chinese 'gamechanger'. Otherwise, hundreds of impoverished would not have rushed to collect spilled petrol from an overturned oil tanker and perished within minutes, simply because they saw an opportunity to get something that is in short supply or they cannot otherwise afford to run their stoves or bikes and cars. Or dozens who were blown to bits in Quetta and KPK or the police officers who were gunned down in Karachi. 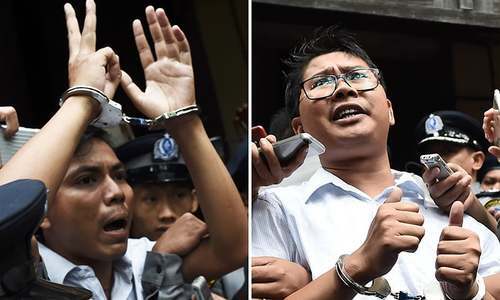 They were simply victims of 'misfortune's and their lives cheaper than Chinese? Seems the government's priorities are misplaced. Charity begins at home. Before the Chinese came, the locals were the ones who voted for this incompetent government and deserve better basic services- including security and medical care after such tragic accidents - both of which were found wanting. Pakistani people are at the bottom of the "govt priority list." And who will foot the bill? Great news that's 15000 new jobs and 100,000 families getting a respectable income. !53 died in oil Tank fire near Bahawalpur, No police for bandobast to protect the site and prevent people coming close to the toppled tank. Hope this would have been given equal priority and innocent would have been saved. Chinese have become more important than Pakistanis in Pakistan. Guess the Pakistani govt/armed forces has made it very clear to the common man. Ofcourse, poor people dont have right to security. Only the rich and Chinese do. Pakistan never in history deployed even 1000 troops for its own Citizens even though there were bomb blasts all over during last decade, money buys everything in this Country. Common man has children by dozens.You should not blame Government for your follies.Even the richest countries can not provide for this population explosion.You too have a duty to keep in check your irresponsible behaviour. @M.Saeed How? What's the total cost of investment? How many jobs are created in Pakistan and what kind of jobs are these?? What's the GDP increase vis a vis debt c s. Debt servicing? What a commitment! The Chinese do extract more than a financial return on their investment. @agnostic sajed ultimately the cost will be born by consumers. Provided the cost of good produced is competitive to world standards. Even government has to get money in form of Tax. Nothing is free. its not jobs it govt expense. Chinese have the jobs. Pakistan spending too much money to benefit China. Good move. It's worth it. Right decision. Foreign nationals, especially Chinese are entitled to extra security in a country like Pakistan. What about the security of tax paying Pakistanis Mr. President? Hope now they will be protected. @Kar Eat grass..That what the govt wants.Don't expect anything from this govt. What about giving some protection to the people in Quetta or Parachinar? Just put these 15,000 plus another maybe 10,000 more troops on the border with Afghanistan and build a wall, fly drones and provide terrain capable vehicles to the troops to better manage the Afghan terrorist infiltration into Pakistan. THAT will be more effective and less costly for Pakistan. But we all know that it will not happen, and that too for several genuine reasons; 1. Politicians and their business interests. 2. Politicians pocketing the money given to the country to support the refugees. 3. Politicians alloting billions for the security and then pocketing that money. 4. Politicians having no nationalistic feelings for the country and its citizens. 5. Politicians having sold out their soul for a few dollars to the country's enemies. 6. Politicians ensuring their looting ways continuing, so they can maintain their off shore accounts. 7. Politicians putting a show for the public but in reality are the same and hug each other behind closed doors. Please publish my comments! @M.Saeed they neither support the poor not game changers. Their sheer I retest is business.every Pakistan individuals are going to bear the cost life long. The good idea would have been specialisation in a domain and build from that like India technology and IT. What about security of common Pakistanis who are dying everyday due to terrorism, target killings, calamity. What about the security of its own people?? ?